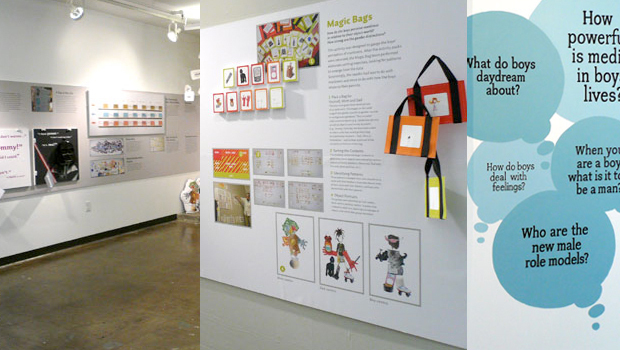 This exhibition is one in a trio of educational exhibitions entitled Thinking, Making, Learning. It presents a synthesis of the Super Studio 2005-06 research study on six-year-old boys and demonstrates how design can play a role in understanding people's lives. I worked on concept development, visual explorations, typography and installation. It was held on South Campus from October. to December. in 2006.